Edward L. (Ned) Wright received his AB and PhD degrees from Harvard University, and was a Junior Fellow in the Society of Fellows. After teaching in the MIT Physics Department, Professor Wright has been at UCLA since 1981. Prof. Wright is interested in infrared astronomy and cosmology. He is the PI on the Wide-field Infrared Survey Explorer (WISE) which launched on 14 Dec 2009, and finished its first coverage of the whole sky on 17 Jul 2010. He worked on the COsmic Background Explorer (COBE) starting in 1978, and is still using COBE data to study the Cosmic Infrared Background. In 1992 he received the NASA Exceptional Scientific Achievement Medal for his work on the Cosmic Background Explorer. The COBE team received the Gruber Prize in Cosmology in 2006. Prof. Wright was an Interdisciplinary Scientist on the Spitzer Space Telescope (formerly SIRTF) Science Working Group. 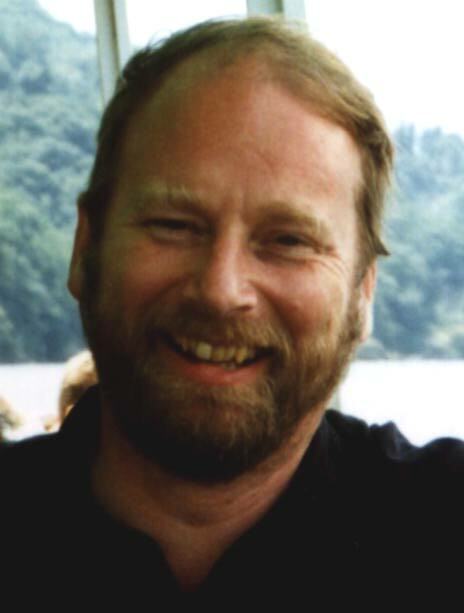 He has worked on the SIRTF project since 1976. Prof. Wright has studied fractal dust grains which are able to absorb and emit efficiently at millimeter wavelengths, and thus may be an important factor in studies of the cosmic microwave background. 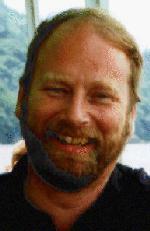 From 1994-1998, he has served as a Science Editor of The Astrophysical Journal. In 1995 he was named the CSEOL Distinguished Scientist of the Year. Prof. Wright is also working on the Wilkinson Microwave Anisotropy Probe (WMAP). 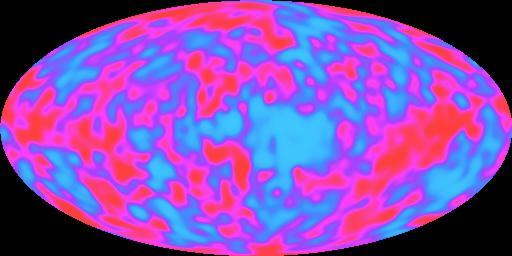 WMAP is a mission to follow-up the COBE discovery of fluctuations in the early Universe. It has observed the structure of the Universe 380,000 years after the Big Bang with better angular resolution than the COBE mission, and thus was able to detect the seeds of present day superclusters of galaxies. WMAP was launched on 30 June 2001 and released its first year of data on 11 Feb 2003. In 2004 Prof. Wright was elected as a Fellow of the American Association for the Advancement of Science, in 2007 he was elected as a Fellow of the American Academy of Arts and Sciences, and in 2011 he was elected to the National Academy of Sciences. Legend: Temperature fluctuations in the cosmic microwave background radiation after the dipole pattern (due to the Solar System's motion relative to the rest of the Universe) and the strong emission from the Milky Way galaxy have been removed. Based on 4 years of data from COBE. Wright, E. L. et al., 2010, "The Wide-field Infrared Survey Explorer (WISE): Mission Description and Initial On-orbit Performance". Wright, E. L. et al., 2008, "The Wilkinson Microwave Anisotropy Probe (WMAP) Source Catalog". Wright, E. L. 2007, "Comparing the NEATM with a Rotating, Cratered Thermophysical Asteroid Model". Wright, E. L. 2007, "Constraints on Dark Energy from Supernovae, Gamma Ray Bursts, Acoustic Oscillations, Nucleosynthesis and Large Scale Structure and the Hubble constant". Wright, E. L. 2006, "A Cosmology Calculator for the World Wide Web", PASP, 118, 1711. Wright, E. L. 2001, ApJL, 556, L17, "Comparing Optical and Near-Infrared Luminosity Functions". Wright, E. L. 2001, ApJ, 553, 538, "DIRBE Minus 2MASS: Confirming the Cosmic Infrared Background at 2.2 Microns". Wright, E. L. & Reese, E. D. 2000, ApJ, 545, 43, "Detection of the Cosmic Infrared Background at 2.2 and 3.5 microns Using DIRBE Observations". Gorjian, V., Wright, E. L. & Chary, R. R. 2000, ApJ, 536, 550. "Tentative Detection of the Cosmic Infrared Background at 2.2 and 3.5 microns Using Ground Based and Space Based Observations". Wright, E. L. 1998, ApJ, 496, 1-8. "Angular Power Spectra of the COBE DIRBE Maps"
Wright, E. L. "Scanning and Mapping Strategies for CMB Experiments", presented at the IAS CMB Data Analysis workshop, 22 Nov 96. Wright, E.L., Hinshaw, G., and Bennett, C.L. 1996, ApJL, 458, L53-L56. "Producing Megapixel CMB Maps from Differential Radiometer Data"
Classes that I have taught recently: Astronomy 140, Astronomy 271, Astronomy 275, Astronomy 282. Class home pages are available on the Physics & Astronomy Department Web page.